Updated | Did you hear the news? No, of course you didn’t. And we’re not sure it’s news anyway. We asked the MTA for more information — none was provided. So we asked the experts — they were underwhelmed. Stephanie Burgos-Veras, senior organizer for Riders Alliance, was equally unimpressed. 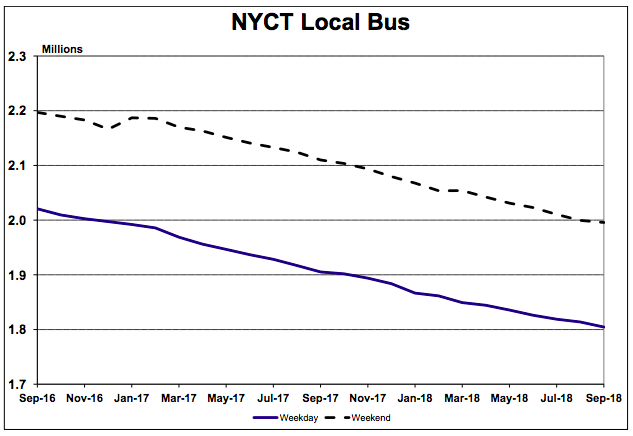 Bergos-Veras didn’t blame the MTA for the continuing decline in ridership. The suggestion that the NYPD is about to launch an “initiative” isn’t the first time bus riders have gotten a glimmer of good news. 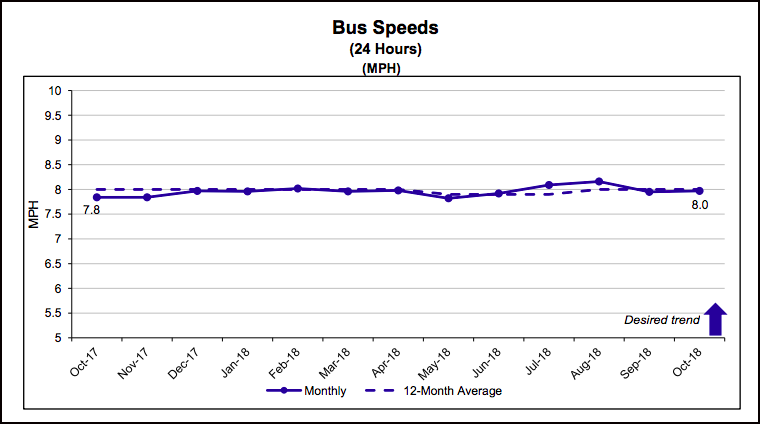 Last month, Streetsblog reported that cops had written 16 percent more tickets to bus lane blockers this year compared to the same period last year — but bus speeds did not measurably improve. Now we have #placardperps illegally double parked in the bus stop & blocking the bicycle lane in @NYPDTransit's self enforcement zone. The MTA and DOT have been vexed by bus lane blockers for years. Comptroller Scott Stringer said earlier this year that the city and state need to provide physical barriers for some bus lane segments and install enforcement cameras on every bus. The cameras would require support from the state legislature, now controlled by Democrats. A survey of bus drivers earlier this year said that nearly 50 percent of drivers blamed cars for their troubles. I hope this works – and someday spreads to L.A.! Are the bus lane cameras currently installed working? Umm, since many of the bus lane blockers are NYPD vehicles, are they going to clear out their own vehicles from bus lanes?? Camera enforcement would be better. Smart camera enforcement could be designed. I saw two placarded cars in the Livingston St bus lane in Brooklyn with tickets today. Hopefully a sign of more to come. The agencies are close to failing, advocates say. Yo, NYPD, You Call This a Bus Lane Enforcement Effort? A much-ballyhooed "clear bus lanes" enforcement crackdown by the NYPD wasn't much of a crackdown at all. Council Member Ydanis Rodriguez once again takes the lead on a street-safety and mass transit initiative. Finally! Progress on snail-like buses. Jay Walder and NYC Buses, Part 2: What Can the MTA Do for Bus Riders? Bright red bus lanes are being painted in downtown Baltimore as the city prepares to launch a revamped bus network in just over a month.